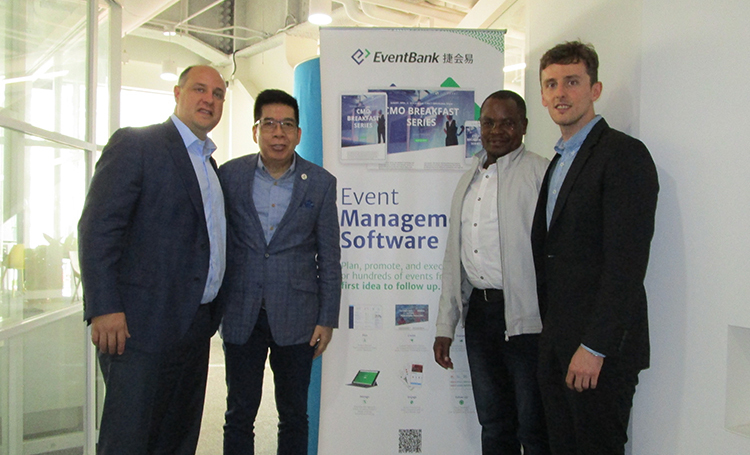 At the sidelines of the 1st China Congress of Associations and Chambers of Commerce held in Beijing, China on October 10, 2018 where PCAAE CEO & Founder, Octavio “Bobby” Peralta was a speaker-panelist, he took time to visit the Beijing office of EventBank, a U.S.-based technology company that specializes in cloud-based association and event management software. Mr. Peralta met there with Eric L. Schmidt, EventBank Co-Founder and CEO. PCAAE and EventBank have signed a cooperation agreement on April 24, 2018. EventBank’s award-winning “Event Management Cloud” will help PCAAE with the whole event management and enable PCAAE to make the Associations Summit 6 exceptional for all attendees. PCAAE will be able to deliver smooth arrival experiences with fast mobile check-ins, attendee search functions, automatic data synchronization, on-the-spot event analytics and more. EventBank’s suite of services also includes membership management, event management, CRM, email marketing, and payments that will be all utilized for Associations Summit 6 slated to be held on November 23-24, 2018 at the Subic Bay Exhibition and Convention Center in Subic, Zambales.